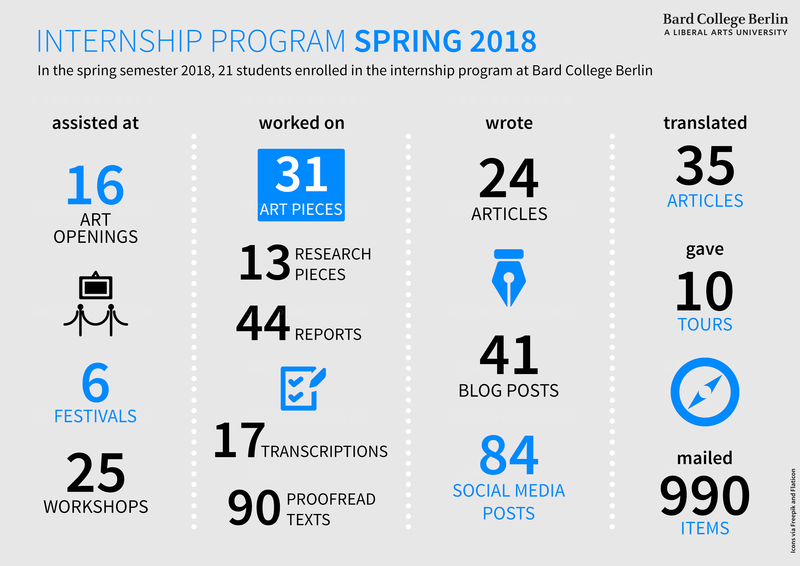 Like many institutes of higher learning, Bard College Berlin offers students the opportunity to gain practical experience alongside their studies by completing an optional internship. And over the past few years, students have been active in a wide range of fields, including the arts, human rights, publishing, new technologies, and education. 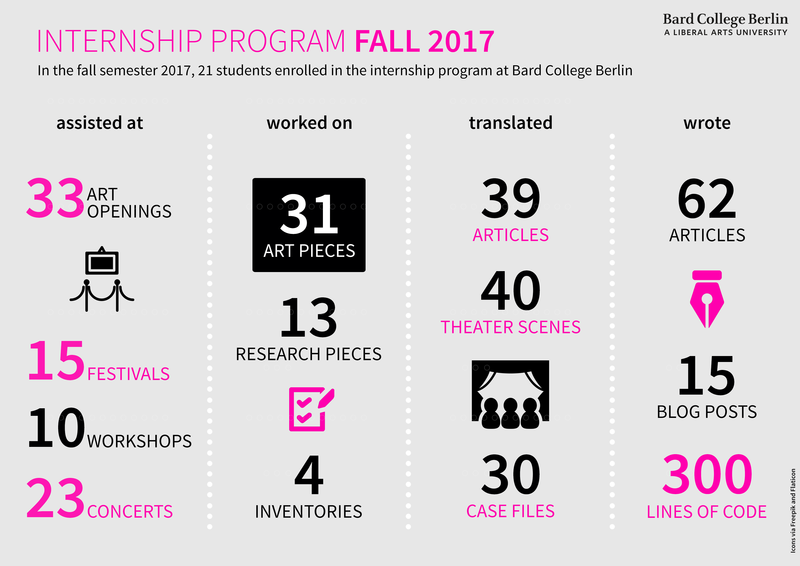 At Bard College Berlin, the internship program has two components: the actual internship and the accompanying seminar. Whereas the internship provides students with the chance to contribute to an organization or individual’s work, the Berlin Internship Seminar is designed to critically embed the internship (and the notion of work in general) into an academic framework, simultaneously examining the role of these organizations and individuals both within Berlin and internationally. Over the course of the seminar, we talk about contemporary cultures of living and working in Berlin and beyond. What do we mean when we talk about work, about internships? How is work temporally and spatially organized, and how does it in turn affect the city and its residents? What distinguishes the spaces in which we live and work today? Which new forms of work have recently emerged in Berlin? Which of them seem to thrive? How do axes of inequality determine individual and collective options when it comes to living and working in Berlin today? How do Berlin’s commercial, political, artistic, and citizen-activist organizations operate? What can we learn from these institutions? Students are required to keep an internship journal. And, besides in-class discussions, invited lectures, and off-campus visits, the seminar offers a platform for a regular exchange of observations, reflections, and comments on students’ individual internships. The assigned readings are also discussed in the context of students’ internships, always connecting them back to their working practice and experience.